Pure Silicone Rubber material that stays pliable and resilient over the lifetime of the hoses. 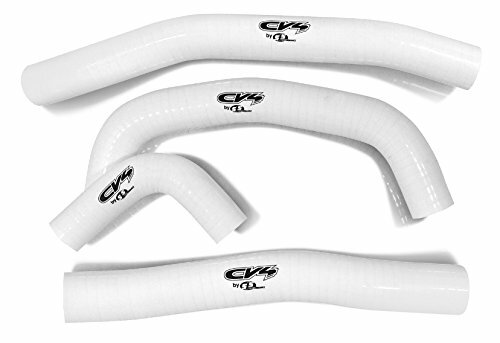 CV4 hose kits add function and style to your motorcycle, ATV or UTV. Pure silicone construction with polyester reinforcement. Can withstand temperatures of up to 420 degrees. Unlike OEM hoses, CV4 hoses resist ozone and U.V. deterioration and are more puncture resistant. Smoother I.D. allows for increased coolant flow. If you have any questions about this product by CV4, contact us by completing and submitting the form below. If you are looking for a specif part number, please include it with your message.